Do you want an amazing vehicle without having to purchase one? If so, you’re not alone. 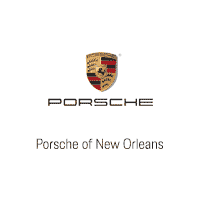 Countless people in the area look for Porsche lease deals near New Orleans, LA. But not everyone knows what a lease entails and if it’s right for them. While they are not the ideal payment plan for everyone out there, they can be beneficial for a wide range of drivers. Get the scoop on some of the benefits of leasing, and you may just find that it’s the smartest way for you to get into your new vehicle. Here’s what you need to know. Are you currently tight on cash? That’s okay — it happens to everyone. But if you are, it could be difficult for you to find a vehicle that’s within your price range, especially if you want to drive something nice. Well, when you sign a lease, you won’t have to worry about paying for the full price of a vehicle. Choose Porsche lease deals, and you’ll be able to get an amazing car without having to pay full price for it. How? Well, when you lease, you’re just paying for how much it will depreciate while you’re driving it instead of paying for the total cost of the vehicle. Therefore, if you want lower up-front costs, this really is the way to go. When you own a car, you deal with a lot of responsibilities. For example, you have to make sure you’re always following a maintenance schedule and pay for any repairs your vehicle may need when you take it into a mechanic near New Orleans, LA. These responsibilities may be something you don’t want to have to think about. That’s what’s so appealing about a lease. There is less for you to worry about when it comes to ownership responsibilities. What do you do when you want to move onto a different vehicle? No problem. Just take your leased vehicle into your dealership near New Orleans, LA, and trade it in for a new one. You’re not going to have that easy a time when you buy, however. You may actually have to list and sell your vehicle yourself. Talk about a headache. If you want to find amazing Porsche lease deals in the area, you’ll come to Ray Brandt Porsche. We always deliver top-notch services to our customers.